On a particularly cold and dreary Sunday during our stay in Innsbruck, we decided to hop on the Innsbruck Sightseer bus and head out to Schloss Ambras just a couple of kilometres or so outside the city. The beauty of the bus is that you can get on and off whenever you like so we figured that if we didn’t like the castle we could just walk back down the drive and pick up the next bus (they usually come along every 40 minutes or so). We ended up staying a few hours and apart from the impressive architecture of this beautiful Renaissance Castle we were intrigued (yours truly especially) by the story that lies behind the castle walls! It was a very cold day and the rain hardly stopped but the grounds were beautifully green! The castle is in the background – it was an imposing sight! The umbrella that I had purchased earlier in the day in Innsbruck got a good workout. Umbrella is “Regenschirm” in German. I did have to ask for one in faltering German! The castle was extensively remodelled by Ferdinand II (1529-1595) in the mid 16th century as a love nest for his bride, Philippine Welser (1527 to 1580) and as such is closely associated with him. Ferdinand was the second son of Ferdinand 1, the Holy Roman Emperor and assisted his father in keeping law and order in the imperial lands. He was made Governor of Bohemia in 1547 and led the campaign against the Turks in Hungary in 1556. Somewhere along the way, he was introduced to Philippine reputedly by her aunt, Katharina von Loxan. Philippine was by all accounts beautiful, highly intelligent and had a very kind heart. However, as the daughter of an Augsburg merchant and financier, she was not considered to be of noble enough rank to marry the likes of Ferdinand. Undaunted, Ferdinand defied his father’s will and secretly married Philippine in 1557. His father was not best pleased and Ferdinand was apparently despatched off to rule over the Tyrol. Since the marriage was morganatic and Philippine could not be styled the Archduchess, nor any children (there were several) inherit the Archdukedom, Ferdinand moved himself and his wife out to Ambras and he lived here from 1563 to 1595 (staying on after Philippine’s death in 1580). The castle covers a large area and there are a number of different sections and galleries. The castle is also the venue for regular art exhibitions and classical music concerts so check here for more information if you are planning a visit. The castle is well laid out and you gather a lot of information from the sign posts and guides that are dotted around the place. You can take guided tours, but we preferred to wander round at our own pace taking it all in. Ferdinand was by all accounts devoted to his wife who, although shunned by nobles and aristocrats, was beloved by many ordinary Tyrolean folk (so the “secret” must have been widely known!). She was known for her good charity and devotion to the community and despite having various honorary titles conferred on her by Ferdinand never seems to have got “above herself” in her demeanour. Philippine is also regarded as a pioneer of natural medicine. She suffered from a number of ailments, for which she used various medicinal herbs and preparations to treat herself. “Philippine’s Garden” is still tended lovingly to this day by the castle staff. The aroma of the herbs and flowers was wonderful but alas I can’t convey that through pictures! 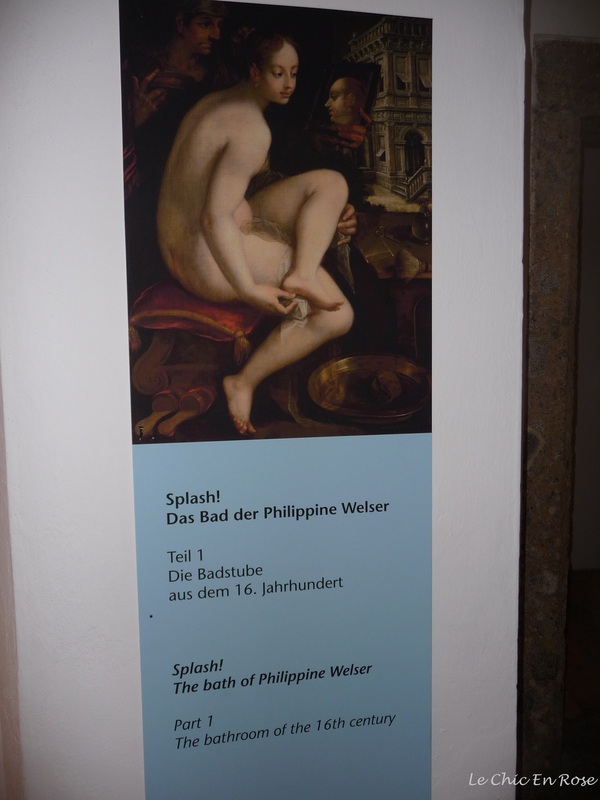 As part of her “cures” Philippine took regular baths and “Das Bad der Philippine Welser” is a major exhibit at the castle. The bathtub is still on display and is in one of the most cold and draughty parts of the old castle (unheated today), so I hope they had some sort of heating arrangement in the 16th century! It was in an incredibly dark room, sunken and tiled with faded classical murals on the wall. However, in its day, it would have been the absolute height of bathroom luxury and sophistication since ladies taking baths in a bathtub was unheard of! Ferdinand indulged Philippine by having the whole bathing area constructed for her. They even had an elaborate plumbing system, which included provision for hot water so maybe this kept them sufficiently warm! Again the Schloss Ambras website has photos and further information here. Ferdinand’s interests were more orientated towards the military and he built up an impressive collection of weapons and armour, which are housed in the Chamber Of Armour in the lower section of the castle. He also had the magnificent Spanish Hall constructed for balls and festive occasions, which is adorned by impressive life size portraits of Tyrolean rulers. Monsieur Le Chic imitating some of the exhibits! Courtyard of the upper castle constructed from 1564-1567. Grisaille fresco work – grey paint on still wet plaster. Unfortunately, because of the inclement weather, we were unable to walk round the extensive Ambras Grounds, which with their mountain backdrop must be spectacular in good weather. The grounds, unlike the castle, are free of charge. However we used our Innsbruck card, which we made good use of during our time in Innsbruck (see post here) to tour round the castle interior and collections. Ferdinand was also a collector of objects and curiosities, which are housed today in the “Chamber Of Art And Curiosities”. Some of the exhibits (which include a portrait of “Vlad The Impaler”) are rather gruesome. You have been warned! Ferdinand had the Silver Chapel at the Innsbruck Hofburg added on to his father’s rather grim Hofkirche (see last week’s post for some photos). If we hadn’t been put off by the mildly threatening tomb of Maximilian 1, we would have popped in to the chapel, which houses the tombs of Ferdinand, Philippine and her aunt, Katharina von Loxan (her lady-in waiting) who died just 10 days before her in 1580. Devoted to the end, Ferdinand made sure Philippine had a fitting place of rest. Following Philippine’s death, Ferdinand remarried in 1582 the much younger Anna Katharina, daughter of the Duke Of Mantua. More shocking than the age difference (she was 16, he was 53) was that she was also his niece (her mother, Eleanor, was Ferdinand’s younger sister). This practice was not uncommon at the time in the Hapsburg families, obsessed as they were with forming dynastic ties across Europe. Ferdinand was no doubt anxious for a son and heir to succeed him since neither of his 2 surviving sons by Philippine could inherit his title. In the end his second marriage only produced daughters and after Ferdinand’s death in 1595, the deeply religious Anna Katharina hightailed it to a nunnery! One can only think what poor Philippine would have thought – she must have been turning in her tomb in the Silver Chapel! Nevertheless she and Ferdinand were reunited in death since Anna Katharina preferred to be buried in the chapel of the religious order that she founded at the Servite Convent. Unfortunately I wasn’t able to take any photos of Philippine’s portraits. Since I don’t wish to breach any copyright laws (they were rather strict at Schloss Ambras about taking photos in certain areas only) if you wish to see the face of the lady who so captivated Ferdinand, head here! It seems appropriate to write about Philippine and Ferdinand’s love story from the past on the eve of St Valentines Day! Thanks go to Monsieur Le Chic for his continued support of Le Chic En Rose! Happy Valentine’s Day, tout le monde! This area and these historical figures are unfamiliar to me so I’m enjoying your posts. Quite an impressive palace! Nice post Rosemary! Looks like an wonderful place with an interesting story behind it. The romantic story fits well now that it is Valentines day tomorrow 😉 Thanks for bringing me on the trip! Wish you a wonderful weekend as well! Looks rather spectacular. I struggle to understand the’no photography’ rules anywhere. What we need is scratch and sniff blogging facilities to appreciate the herb garden! Yes a scratch and sniff button would be a great idea! I think the “no photography” rules often apply to artwork which could be damaged by flash photography so I suppose that makes sense. Philippine’s bathtub had very old faded frescoes on the walls which must be vulnerable to damage. I once saw a poor lady getting a real telling off for taking photos inside the Imperial Hofburg in Vienna! It looks gorgeous Rosemary – especially the Spanish Hall, what a floor!! (and ceiling and everything else). You managed to get some great pictures and I love the story and history – this kind of place is right up my street. Hope you have a lovely weekend. The palace looks very impressive from the inside and it looks like you had the place to yourself. How was you weekend ? did you do anything special for valentine’s day ? Is it famous in australia ? I love Pride and Prejudice as well, but shame on me, I didn’t know it was based in Peak District ! Jane Austen itinerary are getting popular in the UK, one of my colleague did one and my neighbour is planning to do one next summer ! There are a lot of shops and café, we had a delicious lemon curd cake and a nice coffee over there. Will definitively go back to see the Blue John cave ! Weather is improving, spring is definitively coming. I’ve seen so many snowdrops in Peark district! It’s a sign !! It is also warmer here, but rainy. I thoroughly enjoyed this tryst with history, romance, art and architecture. 🙂 I am learning so much! The love story of Ferdinand and Phillipine is just so enchanting. 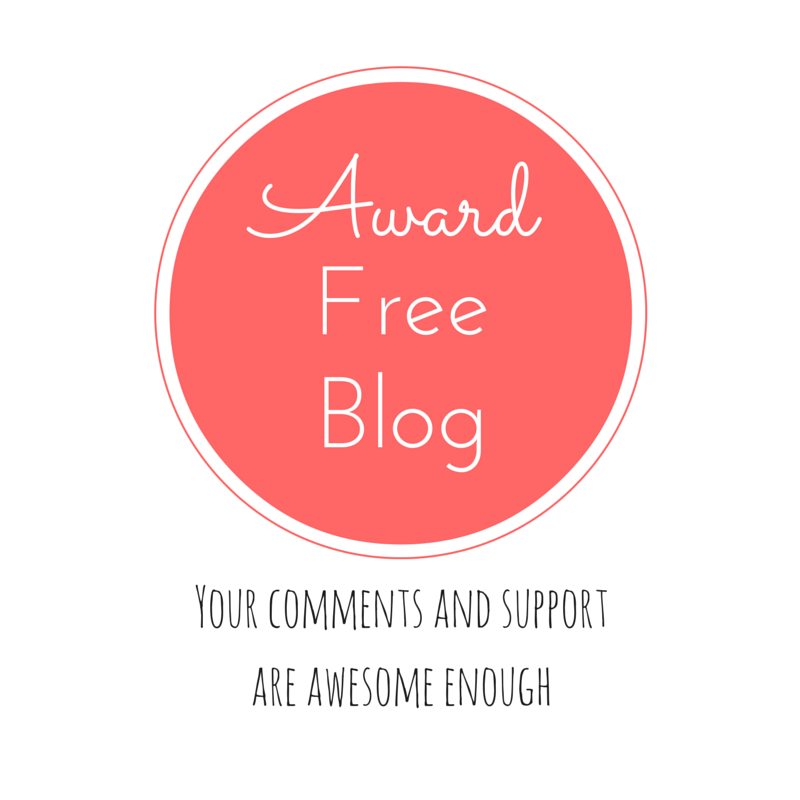 Thank you of sharing!